Kahne, 38, announced Thursday via Twitter that after the 2018 season he would no longer compete fulltime in NASCAR. Kahne made his NASCAR debut in 2002 in the Xfinity Series and two years later in the Cup Series. Since then he has competed in 527 Cup races and 215 Xfinity Series events. In 15 years in the Cup Series, Kahne has earned 18 victories, 27 poles, 93 top-five and 176-top 10 finishes, and led 4,678 laps. He also won the All-Star race in 2008 and a Gatorade Duel 150 qualifying race at Daytona in 2010. His best finish in the point standings came in 2012 when he placed fourth. In 16 years in the Xfinity Series, Kahne ran a limited schedule every year except 2003 when he finished seventh in the driver standings. He won eight of those races, earned nine poles, posted 46 top-five and 87-top 10 finishes, and led 1,378 laps. The Enumclaw, Wash., native had one year left on his Hendrick Motorsports contract when he moved to Leavine Family Racing for 2018. He confirmed Friday that even if he hadn’t driven for the operation he still would have received the salary outlined in the contract. Kahne noted he had some “neat opportunities” with LFR. Kahne started his Sprint Car team in 2005. Brad Sweet’s victory a week ago in the prestigious 5-hour Energy Knoxville Nationals was the first in the event for Kahne’s team. 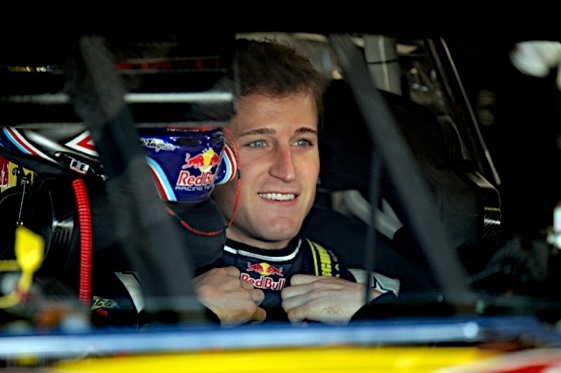 However, Kahne’s thoughts about stepping away from a full-time NASCAR ride began before last weekend. It was on his mind his last two years at Hendrick in addition to this season.